A few months ago, a race promoter contacted me about a new proposed series with an aggressive marketing platform, a GT spec program, and a promise that all expenses would be paid. The catch? The series was for women only, and I wouldn’t be allowed to continue to compete in IMSA Continental Tire SportsCar Challenge or any other unsegregated series. I respectfully rejected the offer. As word got out that an all-female series was gaining traction, almost every woman competing professionally in sportscar racing in North America spoke out publicly against it. One significant outlier was Carmen Jorda, former development driver for the Lotus and Renault Sport Formula One teams. And last week, she was appointed to the FIA Women’s Commission. While, along with most female drivers, I firmly disagree with Jorda’s viewpoint, our natural reactions to her statements and recent appointment have been so visceral that we may have missed some rational points. First, her argument that women are biologically disadvantaged compared to men when competing in certain sports is valid. It is why women-only leagues and divisions exist in certain sports, such as basketball or MMA. However, this argument as applied to racing seems to be based narrowly on Formula One, where cars exert 5 lateral G forces every turn. The neck strength required to withstand this thrashing for roughly two hours is remarkable, and physiological differences in muscle mass and strength would, in fact, disadvantage women—but should not be written off as unachievable. The important question isn’t whether or not women are at a disadvantage. It’s whether or not we are capable. Time and time again, we have proven that we are. Racing is also not cut the same in every division, and each type of racing—from formula racing to oval racing to sports car racing—requires a different combination of strengths, figuratively and literally. Compared to F1, most sports cars exert about half the lateral G forces, and don’t usually require extreme physical strength to drive them well. In the IMSA Continental Tire SportsCar Challenge, a two- to four-hour endurance race with two drivers, other attributes come into play, like your tolerance for heat, decision making, and strategy. This past racing season, I worked with a sports nutrition brand to help them gather data on female racers. 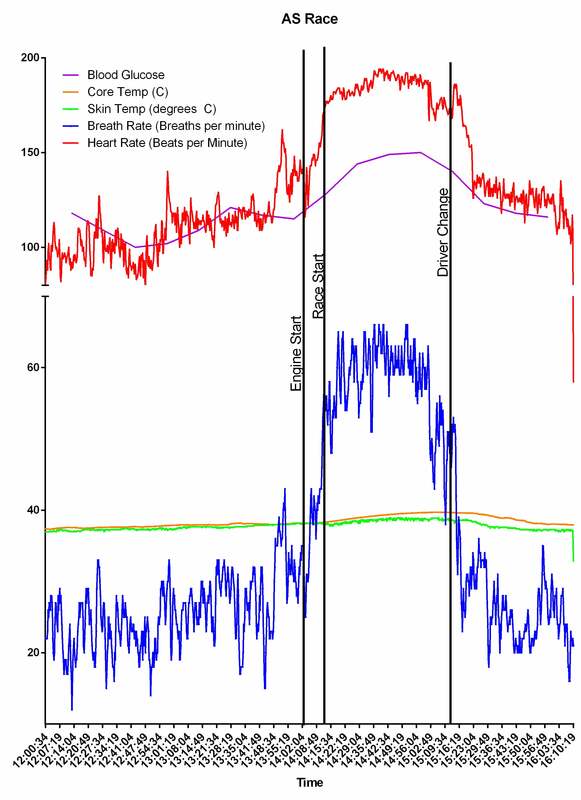 Their data demonstrated that in most circumstances, women are slightly less affected by heat than male racers of similar age and fitness level, giving us an advantage on this dimension. In other attributes, men will have some biological advantages. Contrary to Jorda’s blanket statement, it’s a level playing field, on balance, for men and women in sports car racing. Second, I think Jorda’s solution for a women’s only series does have some merits. It could be an attractive opportunity for many women who struggle to secure sponsorship. Furthermore, the platform may encourage more women to get more involved in the sport, since entering a male-dominated sport can be extremely daunting. However, the sad reality of an all women’s series, aside from the fact that it invalidates us as equal racers, is that it wouldn’t attract enough of a fan base. To put it bluntly—almost nobody would watch it. Women’s teams in contact sports statistically get a small fraction of the viewership enjoyed by their male counterparts, and dollars follow viewers. Establishing a female series may very well erase us from the racing world. The women in motorsports that I have the privilege of knowing—from Christina Nielsen to Pippa Mann to Sarah Montgomery—are, hands down, the strongest, most driven people I’ve ever encountered. They’ve each built a career in an environment where they are uncommon and sometimes unwelcome. I’m currently working on a project that will launch in 2018 to help support girls in male-dominated fields around the country. And while I can understand Jorda’s views, I don’t endorse or agree with them. 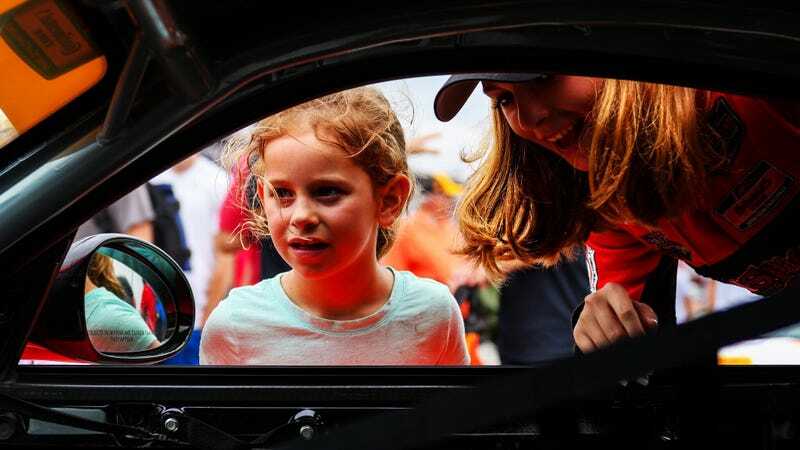 For the sake of all future female racers and the fans we strive to inspire, I hope that she takes this opportunity to grow in her role and to support all girls with drive. Aurora Straus just completed her rookie season in IMSA Continental Tire SportsCar Challenge, co-driving with Connor Bloum in the No. 18 ModSpace Porsche Cayman. At 19 years old, Aurora works full time for ZappRx, a biotech software startup in Boston, and begins her freshman year at Harvard University in September. When she isn’t working at ZappRx or racing, she is an active musician. She will continue competing in professional sports car racing in 2018.